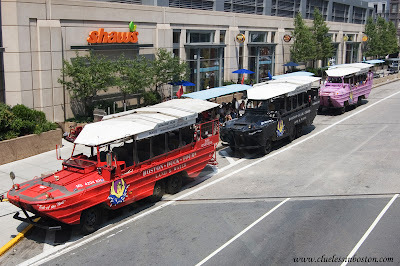 Duck Tour buses/boats lined up and waiting on Huntington Ave. at the Prudential Center. These tour boats are authentic, renovated World War II amphibious landing vehicles so they can take tourists sightseeing on land and water. Click here for a shot of the red tour boat in the Charles River.